MENLO PARK, Calif., May 17, 2012 -- Facebook (NASDAQ: FB) today announced the pricing of its initial public offering of 421,233,615 shares of its common stock at a price to the public of $38 per share. 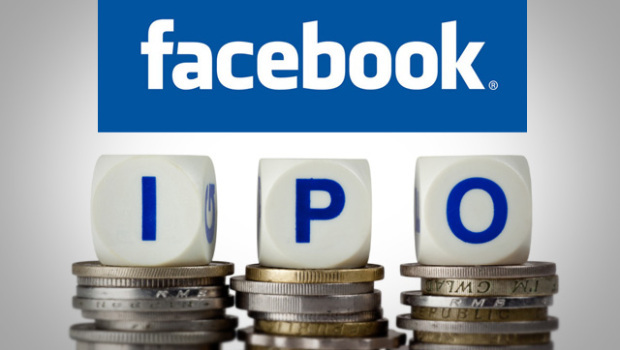 The shares are expected to begin trading on the NASDAQ Global Select Market on May 18, 2012, under the symbol "FB." Facebook is offering 180,000,000 shares of Class A common stock and selling stockholders are offering 241,233,615 shares of Class A common stock. Closing of the offering is expected to occur on May 22, 2012, subject to customary closing conditions. In addition, Facebook and the selling stockholders have granted the underwriters a 30-day option to purchase up to 63,185,042 additional shares of Class A common stock to cover over-allotments, if any. Morgan Stanley, J.P. Morgan, Goldman, Sachs & Co., BofA Merrill Lynch, Barclays, Allen & Company LLC, Citigroup, Credit Suisse and Deutsche Bank Securities are serving as book runners for the offering. RBC Capital Markets and Wells Fargo Securities are serving as active co-managers. The offering will be made only by means of a prospectus. Copies of the prospectus related to the offering may be obtained from: Morgan Stanley & Co. LLC, 180 Varick Street, 2nd Floor, New York, New York 10014, Attention: Prospectus Department (Tel: +1 866 718 1649; e-mail:prospectus@morganstanley.com); J.P. Morgan Securities LLC, c/o Broadridge Financial Solutions, 1155 Long Island Avenue, Edgewood, NY 11717, (Tel: +1 866 803 9204); or Goldman, Sachs & Co., 200 West Street, New York, NY 10282, Attention: Prospectus Department (Tel: +1 866 471 2526, e-mail: prospectus-ny@ny.email.gs.com). A registration statement related to these securities has been filed with, and declared effective by, the U.S. Securities and Exchange Commission. This press release shall not constitute an offer to sell or a solicitation of an offer to buy, nor shall there be any sale of these securities in any state or jurisdiction in which such an offer, solicitation or sale would be unlawful prior to registration or qualification under the securities laws of any such state or jurisdiction. Copyright © 1999 - 2017 Virtual-Hideout LLC. All Rights Reserved. Powered by Blogger.